We are all about that bass at Sims Music and our department will prove it! With Jerry being a guitar player (with some bass skills as well) and Justin being a drummer, we are very aware of how important the bass player is to the band. It seems as if bass guitar selections at shops around the country have slimmed down but we have made sure that just the opposite happens in our shop. We are continuously trying to add more and more models and brands as we have seen the bass player market continue to grow. It's been great to see how many young, beginner bass players are studying in our lesson programs and going on to be active musicians in the local scene. Because of these students, we have made sure that we always carry a wide selection of beginner to intermediate level and priced basses so that any student can find the perfect bass for themselves! Just as we have the young aspiring bass player covered, we strive to always have the very best gear for all you pro bass players out there. With great, American made Fender J and P Basses, great playing Ibanez and Music Man basses, and the legendary Rickenbacker basses, we’ve got what you need to play a local club or the biggest of arenas out there! 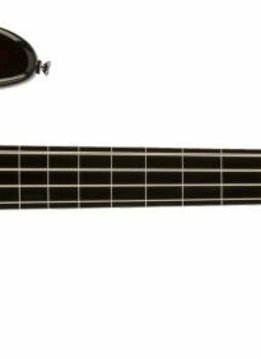 Obviously you want a nice sounding and feeling bass, but ultimately if it isn’t setup properly, it’s just not going to fulfill your needs as a bass player. Just as we do with our guitars, we include the Sims Music Advantage with every bass we stock and sell. Every bass you see in our selection has been professionally set up by our technicians before it was put on display and then checked again before it heads out the door with you or is shipped to your house. On top of this, we will adjust the neck on your bass for the lifetime of the instrument for free! Keeping your bass setup properly can assure you many years of holding down the groove, rocking out for crowds of all sizes, and having fun!